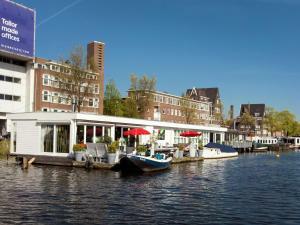 B&B Amstel Wake-Up is set in the Zuideramstel district of Amsterdam, 2.2 km from Amsterdam RAI, 2.5 km from Heineken Experience and 2.5 km from Carre Theatre. Offering free WiFi, the property also has a terrace. The boat comes with a TV. Museum of Bags and Purses Hendrikje is 3 km from the boat. Schiphol Airport is 16 km away.